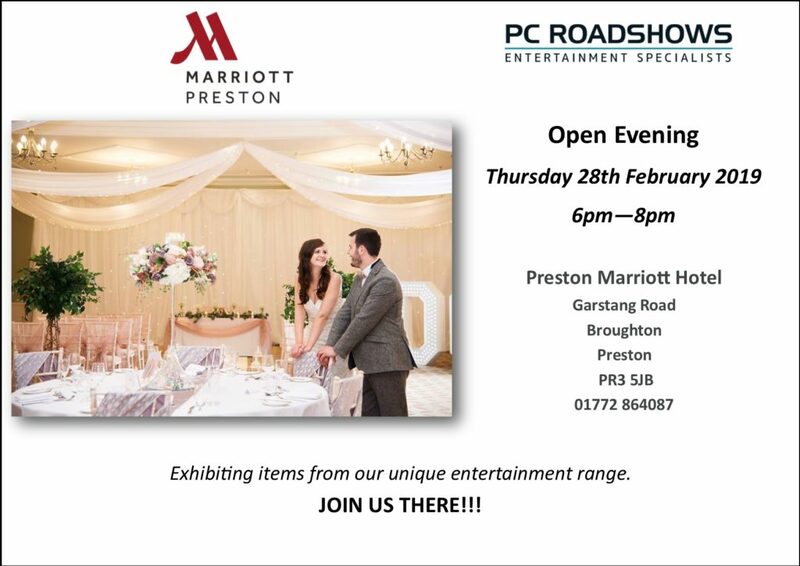 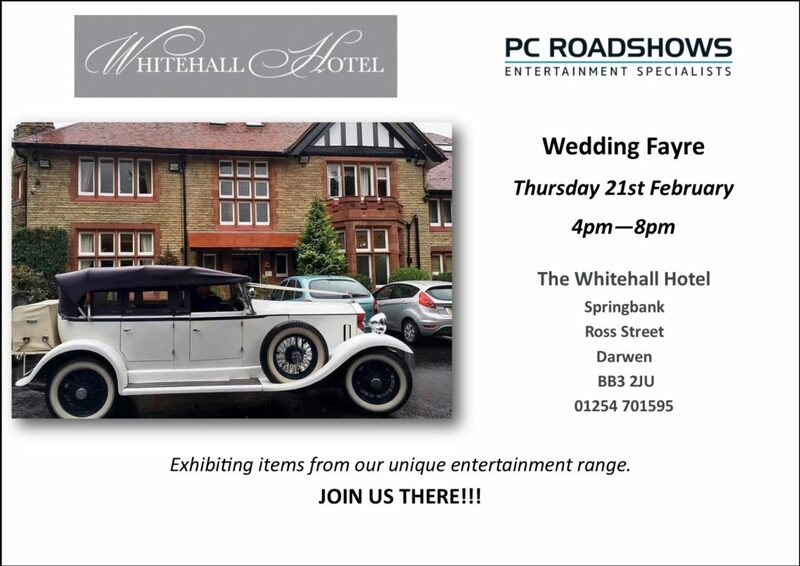 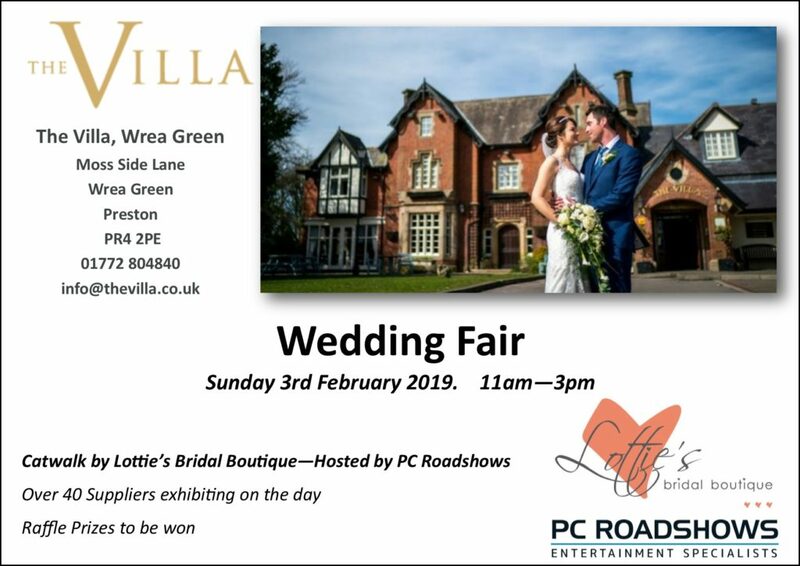 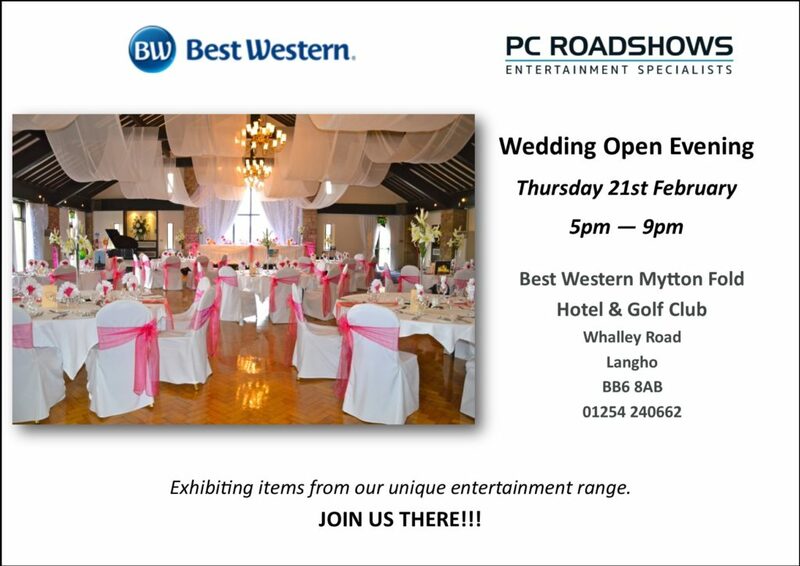 Here are the Wedding Fayres PC Roadshows will be exhibiting at in February 2019. 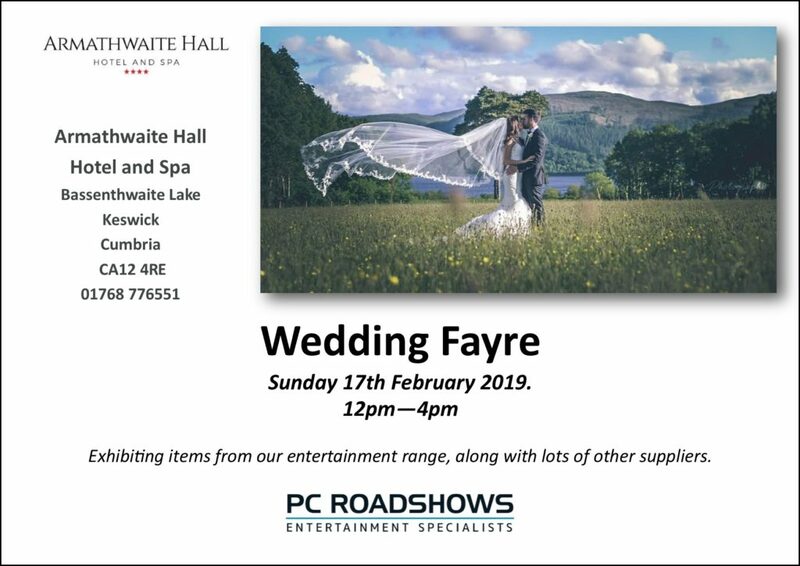 At all the wedding fayers we attend we always have a number of our different services available to be viewed along with one of our team who will be on hand to answer any questions and discuss your wedding entertainment ideas. 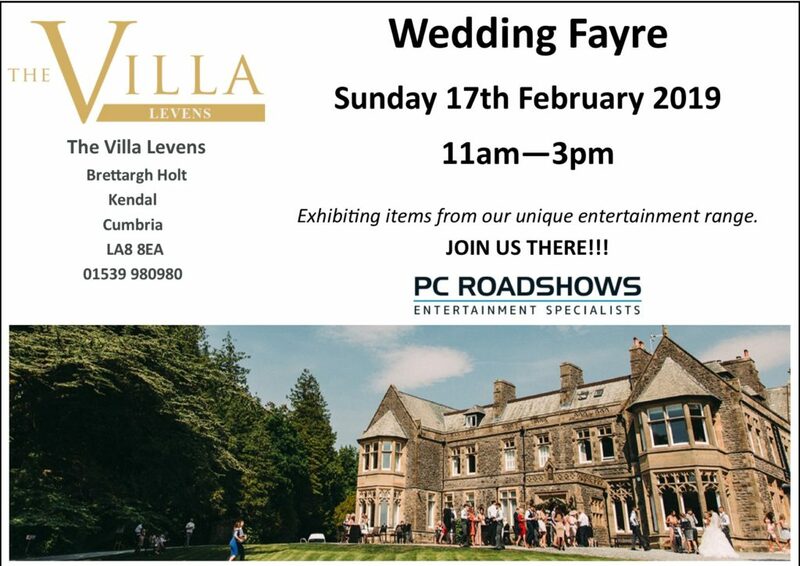 Links are supplied to the organisers webpage/social media for more detailed information about each individual event. 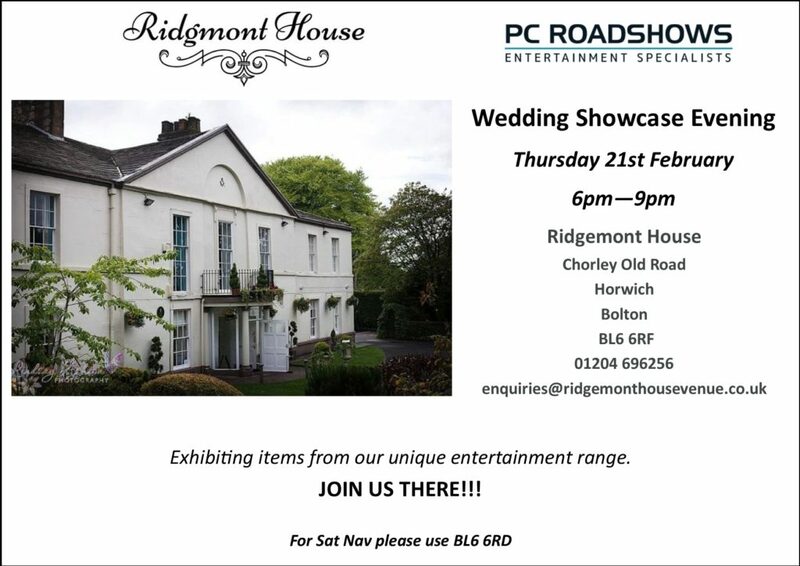 Just click on the relevant image.